Winter is here, and so is Ed Sheeran! The singer's 'Game of Thrones' cameo is causing a stir on Twitter. 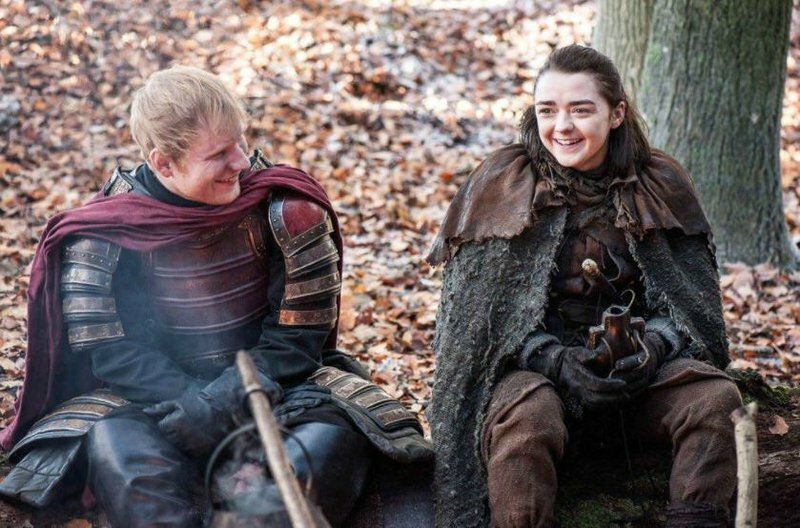 South African 'Game of Thrones' fans will only get to watch the first episode of season seven tonight, and here's a heads up, Ed Sheeran makes a cameo. The singer does what he does best in the episode - sings. We don't want to give away too much about the highly anticipated return of the hit HBO show, but there is no missing this famous ginger. The 'Shape of You' hitmaker has an encounter in the woods with Arya Stark. He sings a folksy campfire song, and of course Arya is a fan. She complimented Ed's singing before sitting down for a meal with the wayward soldiers. Viewers had some hilarious responses to the 26-year-old's cameo. Some were thrilled to see the singer make an appearance on their favourite show, while others were left scratching their heads. Friends, please tell me more about how seeing Ed Sheeran in your dragon show is unrealistic.